Today is a first for Chic on the Cheap, today's post features men's fashion. I'm pretty excited and happy to be introducing you to my boyfriend, Sean. He wasn't initially too keen on joining me, but when Lisa, the fabulous PR rep I've been working with, asked me if I was doing men's fashion these days, I thought it would be the perfect catalyst. When it comes my to own fashion choices, comfort is an adjective that often gets placed pretty low on the list, however that is not the case with men. That's why Tani, currently tailored exclusively to men, puts comfort first with their undergarments. 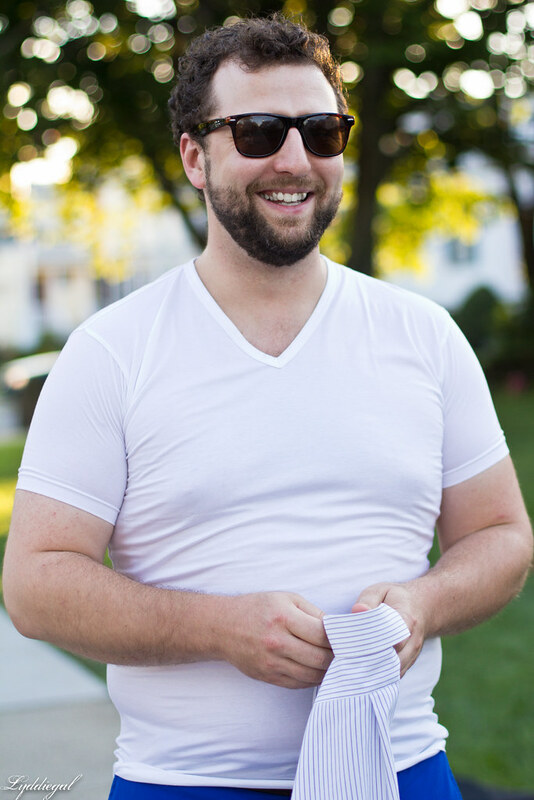 Sean has on their Swiss Cotton v-neck, which is extraordinarily soft, stretchy, and comfortable. 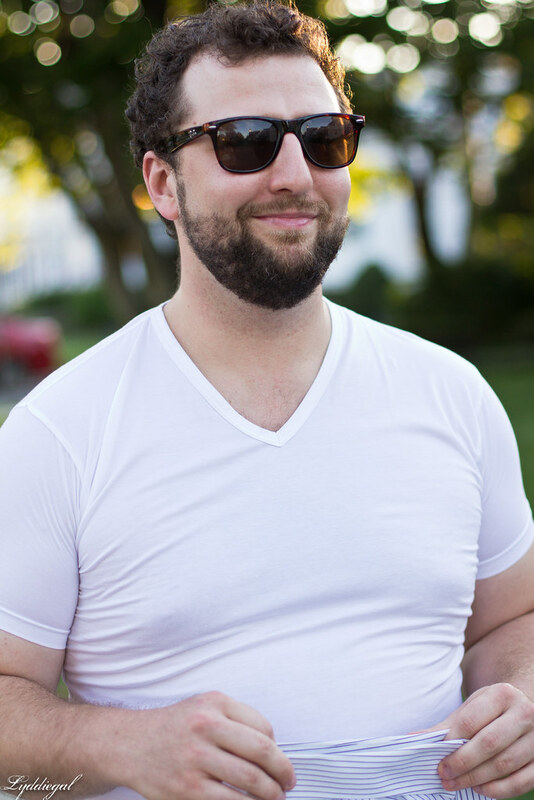 I'm particularly fond of v-necks on men, and while the description states it can be worn on it's own, it would probably be best to size up for that purpose. It's also entirely possible I will be borrowing it, on those days when 'comfort' creeps up just a bit higher on my list. Hopefully this won't be the last you see of Sean on the blog, but even if it is, I'm just happy he puts up with playing photographer whenever we are together, loves going thrift shopping with me, despite my keeping him in the store about an hour longer than he would like, and even submits to the occasional selfie. Swiss cotton shirt was provided to me by Tani through Lisa Wells PR, my views and opinions are my own. If I don't hear from you sooner, enjoy this Holiday Weekend, honey!! Ahh both of your outfits are absolutely perfect! I am obsessed with the dress, the floral print is so pretty. This is the cutest post ever! You two look great together! How sweet of him to take photos with and for you and go thrifting. Sounds like you've got a good one there! You two are such a great couple! 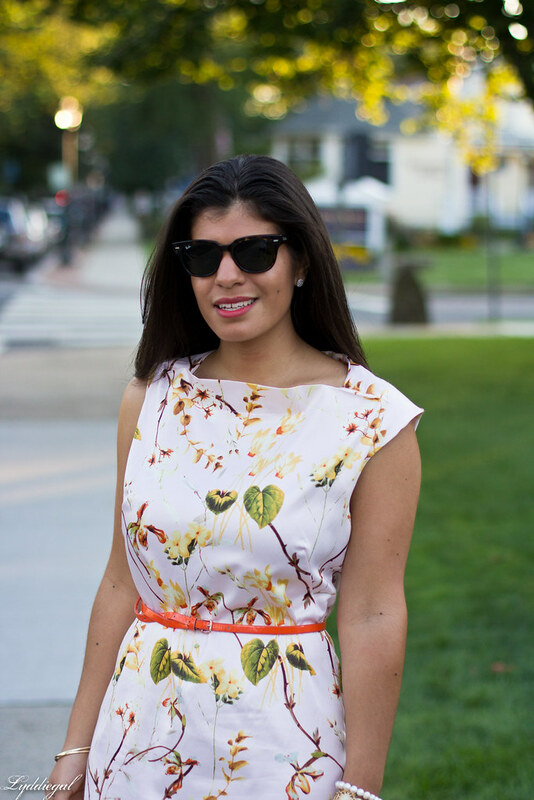 How cool that you are dating a male model =) Love this dress, the print is fantastic! Such a pretty dress! I love the floral pattern, the cap sleeves and the silhouette. Very flattering! Y'all are such a cute and stylish couple! I love that he agreed to do this with you! I'm not sure my husband would haha love your dress! You two make a cute couple and your dress is perfect on you. Welcome to the limelight Sean! Aww, nice to meet you Sean! 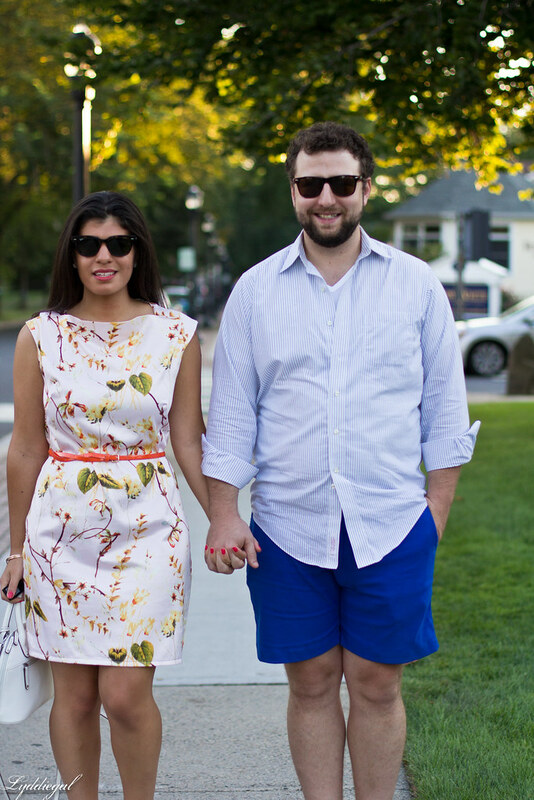 You guys make an adorable, stylish couple! Such a cute post! Love both outfits...very nice! 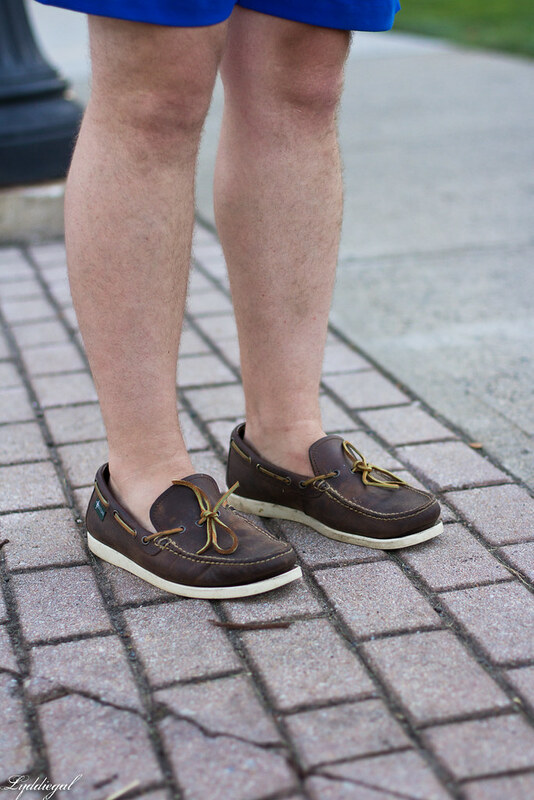 Also, totally thought those were Sperry's on Sean! Cute couple!!! Love, Love, Love those heels! Simply elegant outfit and those heels just brings it together. You both look amazing!! I love your fun heels! How cute are you two?! I loved seeing more of your personal life... Adore! :) xoxo! Aww I love this! My husband would probably never do a his and hers post with me. He is still wary about taking my pictures! You guys are an adorable pair. I love the print on your dress. What a great guy for agreeing to do that! And I adore your dress! The print is beautiful! How adorable you two look! High quality, v-neck tee's are definitely a good investment for comfort and style for men. Lydia, you two look fabulous together! What a perfect pair! Sean is handsome and the camera loves him! The tshirt looks great. WTG Sean! What a wonderful surprise. You're gorgeous couple. Previous post I posted as well my fiance ootd and it wasn't easy to talk him into taking photos of him and posting on blog, since he is feeling comfortable behind camera. You look so wonderful in your pretty dress and I love those heels. Omg I love this!! You two are adorable! Ive tried talking my husband into doing a post with me but he wasnt having it haha! Love love love your dress! Gorgeous as always! You two look so adorable, love this! That's awesome that he was willing to be a good sport! You both look great!! Your dress and shoes are amazing – such a chic and beautiful look!! You two really make such a lovely couple - I especially love the candid capture in the third last photo, there's something so charming about a photo that captures how a couple really are together and that they both look adorable in all at the same time. (Which is so very rare with candid photos, sadly.) Oh, and by the way, this dress is to die for. So fun to meet your main squeeze! You two look great together. I've tried to talk my husband into it as well, but he isn't having it. 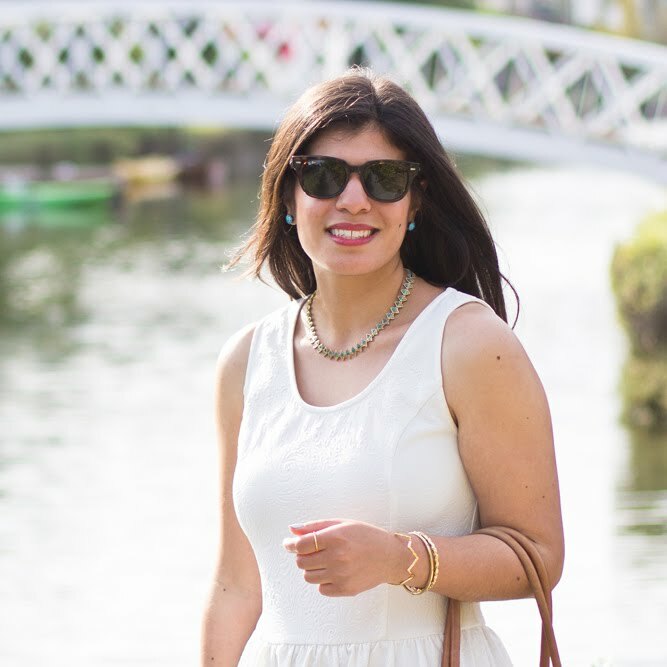 Your entire look is LOVELY! That dress is so feminine and the heels add the perfect amount of fierceness! LOVE IT! Your dress is adorable! You two are the cutest! You two are adorable! THese photos are great. 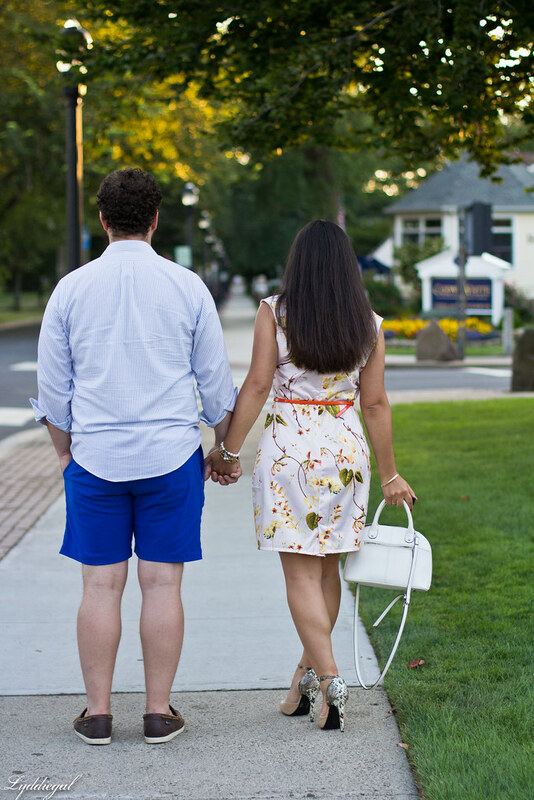 You look fab in that dress and I love Sean's shorts + button down combo. Such a cute couple, you both look fab! Awww, how super cute ! So we finally get to meet the lucky guy. 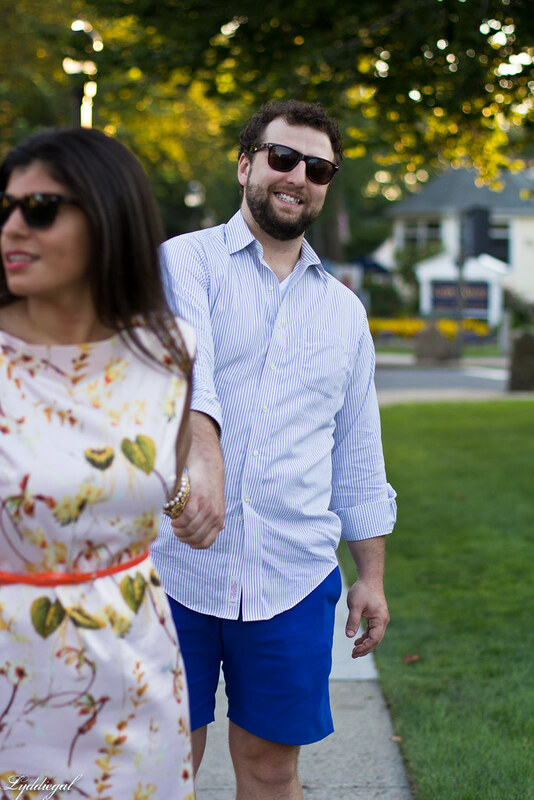 I think every lady is giving you high fives for getting your other half on the blog! I haven't even asked mine but I'm my brain has been brewing up so many ideas. You need to keep these posts comin! Elegant dress and you are so cute with your man, love love. Lydia, you are so lucky! He is so cute and I just love you two together. I hope that he participates in more posts! Great post dear, and gorgeous couple! His and Her's posts are absolutely adorable! I love seeing y'all together so much! What a gorgeous couple! OMG! How cute are the two of you?! Kudos to you for convincing him to take part. :-) I actually convinced Dave to start a new blog with me. (The domain is purchased, more details to come.) It's more fun when they take part.